An eyewitness account of a discovery that changed Nigerian history. 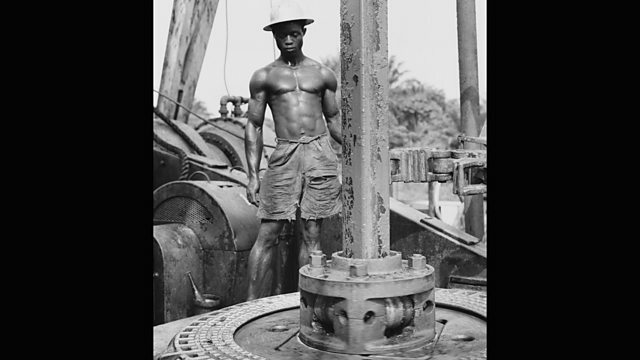 Chief Sunday Inengite was 19 years old when prospectors from the Shell D'Arcy oil company first came to his village of Oloibiri in the Niger Delta in search of crude oil. It was there in 1956, that commercial quantities of oil were first discovered more than 3km below ground. It marked the start of Nigeria's huge oil industry, but it came at a cost for villages in the Niger Delta. Alex Last spoke to Chief Sunday Inengite about his memories of those days and the impact oil had on his community. Eye witness accounts of events in African history from all four corners of the continent.